Lake as backdrop and wonderful music in the air. What an evening it was!! For those who missed the event here are the write ups to take you through the lovely evening. There we were till dusk and beyond as the Urban Folk Project artists decided they will sing at this beautiful location until its dark and they can see the moon shinning on the lake's water. 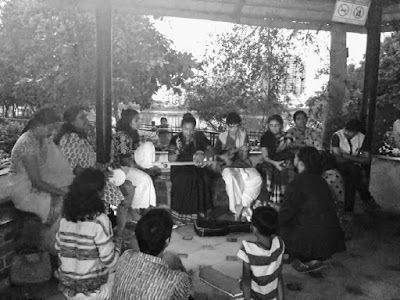 That's what happens in village festivals where folks songs, stories and music flows - isn't it? 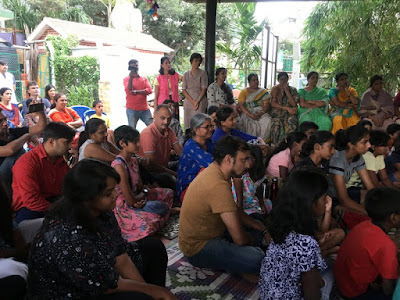 On Saturday July 28th at Puttenahalli lake around 60-70 people were transported to such a world by UFB artists - Shilpa, Adithya, Sanidhi, Poornima, Sheetal and Shruthi. Taken into the world of Yellamma where the narration flowed along with beautiful folk songs that swayed to the music of Shruti, Chowdki and Taala played by the artists. 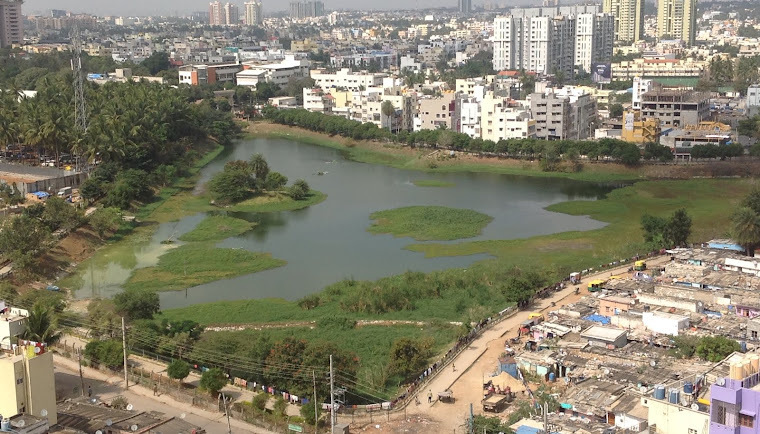 For urban folks like us the instruments were new, songs were in dialects we haven't heard before and stories were from the hinterlands of Karnataka. 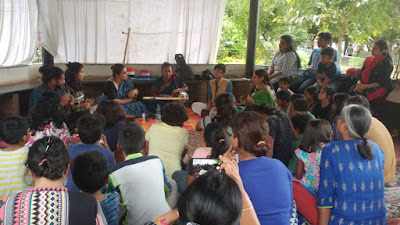 None of this mattered to the children or adults as Shilpa's amazing energy and magical voice held their attention for more than two hours. 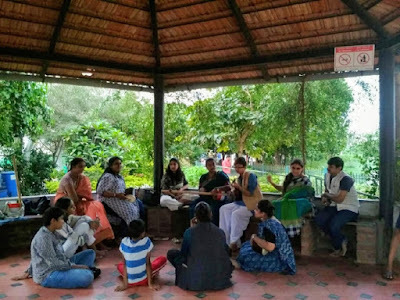 A first time experience for most of us listening to what Shilpa and others in UFP had to share with us. To know that so much about our own land is not known to us can make one feel very small. 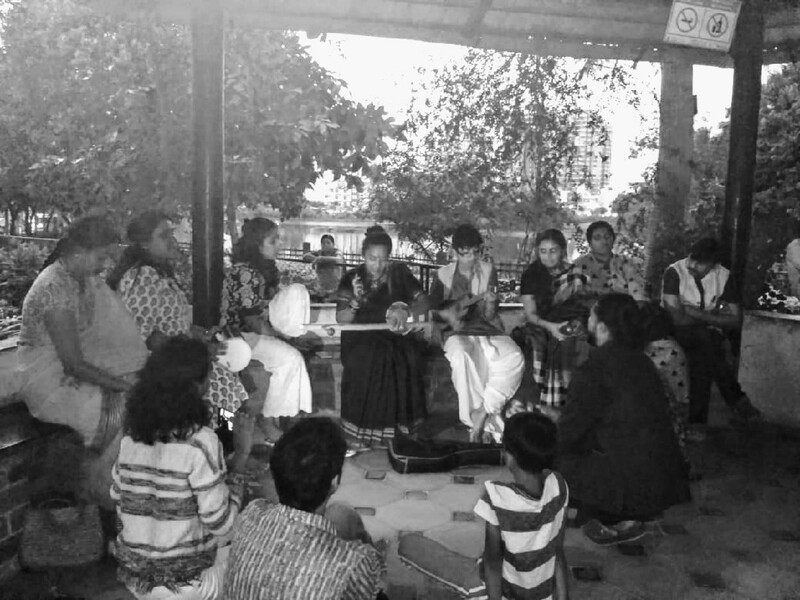 To know people like UFP who are researching, documenting and presenting our dying folk arts in contemporary way in urban spaces should make one feel proud to support and encourage them. 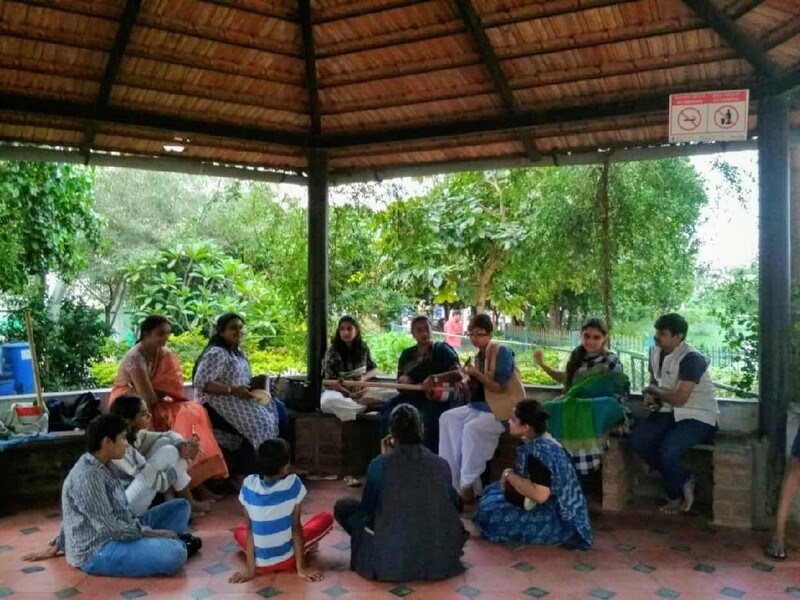 We're thankful to UFP for carrying on their wonderful initiative and for the memorable performance at our lake. We hope to host them again in the future and wish our neighbourhood residents will come to support them. Yellamma and other stories - A folk art event hosted by PNLIT on Saturday, 28th July 2018 at Puttenahalli Lake was a grand success. The artists from Urban Folk Project kept the audience enthralled for two full hours. 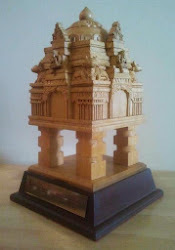 Urban Folk Project team is into documenting and protecting the various folk forms in Karnataka. They have identified more than 250 dying forms and would like to keep it alive and pass on to the next generations. Yellamma and other stories is one of their projects that brings out various versions of the story of the Goddess Yellamma and how she is revered through theatre and music especially during Dussherra in the interior villages of North Karnataka. The main artist Shilpa is an expert in story-telling and ensures to keep the viewers completely engrossed in the performance. It is an achievement that they manage to keep the energies high even without a mike, especially near the road filled with moving traffic on a Saturday evening. While the narrative was in English, the songs were in Kannada and come with an absolute rural flavour. The other music instruments added to the beauty of the whole performance. There was a scene of a head chopped off in the story and the sound effect from a simple music instrument (taala) made a kid quiver a bit and that is the success of the team, quite commendable. 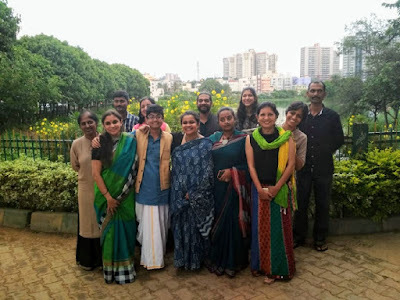 The green backdrop of the lake, the rural folk songs, the enchanting story woven so beautifully by the team, all of them made the beautiful evening a memorable experience. It was quite meditative for the viewers totally cut off from the distractions of mobile phones, digital media, etc. 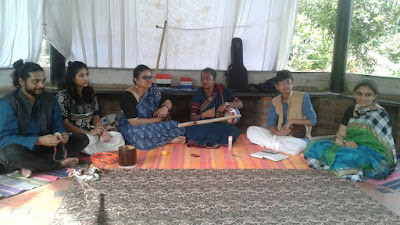 The narrative included the lives of the folk artists including the devadasi community, their lifestyle, the stories behind the musical instruments used by them and their pride in their talents. Kudos to the artists, it was an evening that will stay in the memories of all viewers, children and adult alike, looking forward for more such soul touching music and culturally rich age-old stories.